These photos don’t follow any sort of theme, but they were all taken within the past week or so while I’ve been out and about. Enjoy! 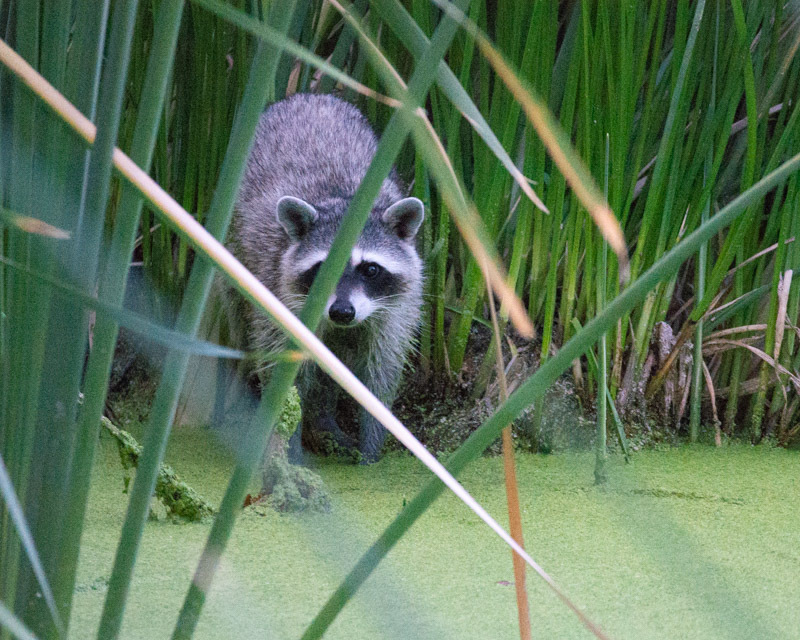 This raccoon crossed the path ahead of us at sunrise earlier this week at Sweetwater Wetlands. By the time we caught up with him, he had crossed the water and was at the edge of the reeds waiting to see who we were and what we were doing. After checking us out for a few seconds, he disappeared into the reeds. We never saw him or his family again that morning. 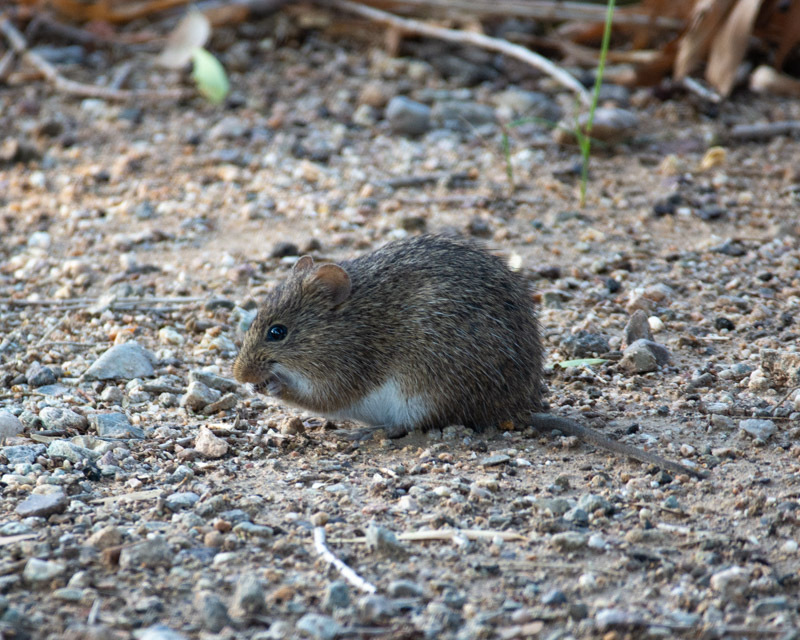 Cotton Rats are the prominent rodent species at Sweetwater. This one is enjoying some kind of snack. Cotton rats eat mostly green plants and grasses. As a prey species at the bottom of the food chain, these rats are active breeders and can have up to ten litters per year. Looking eastward towards the morning sun, we had to squint in reaction to the sunlight reflecting on the water and on the duckweed. 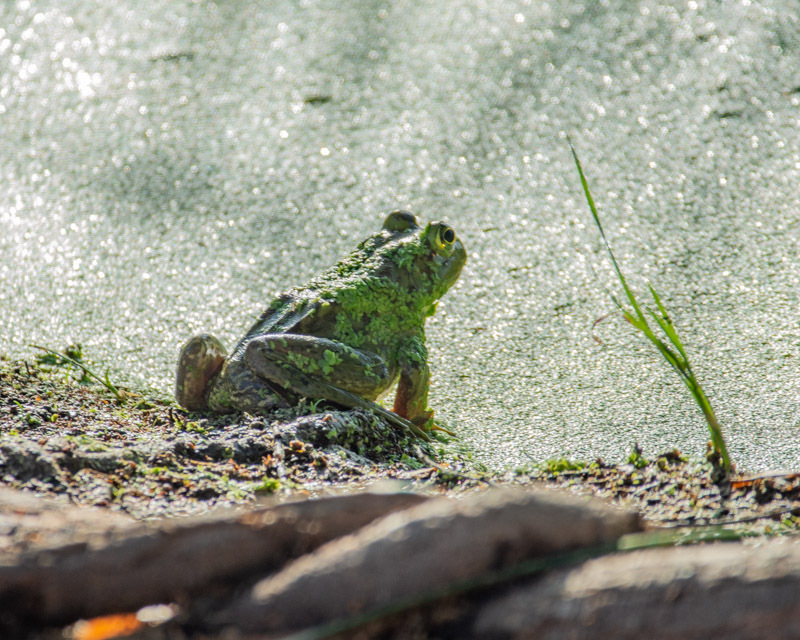 You too have to look through the brightness to appreciate this bullfrog on the edge of the pond, covered in duckweed. 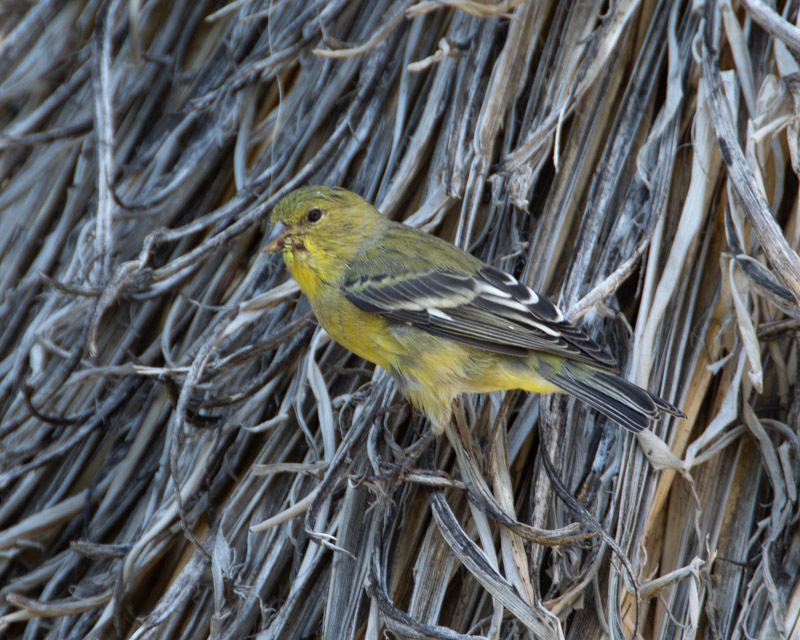 At Tohono Chul Park, a female Lesser Goldfinch rested with a mouthful of seeds or plants. I like the texture of the background of her perch. 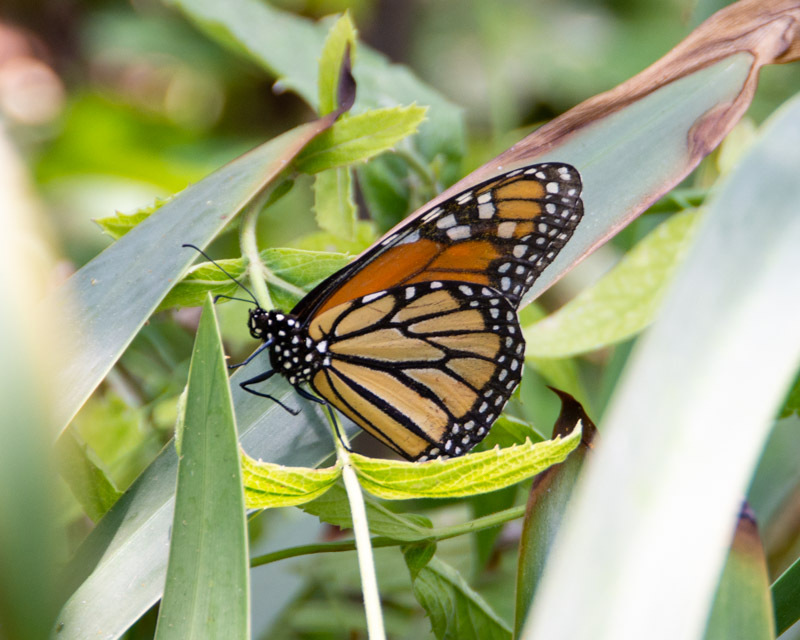 Also at Tohono Chul, a Monarch butterfly fluttered amongst the thick foliage. It’s been an exceedingly hot week. 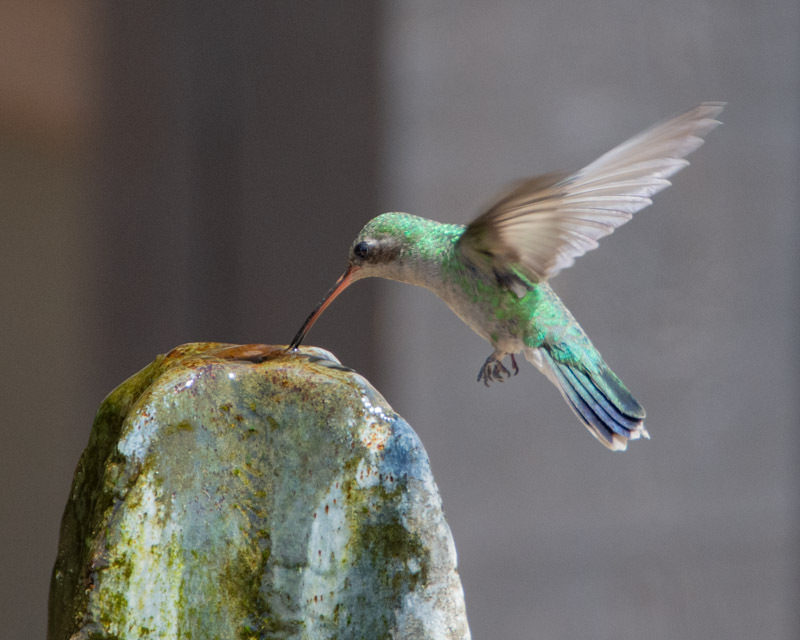 At Tohono Chul, Hummingbirds came to one fountain to drink some water. 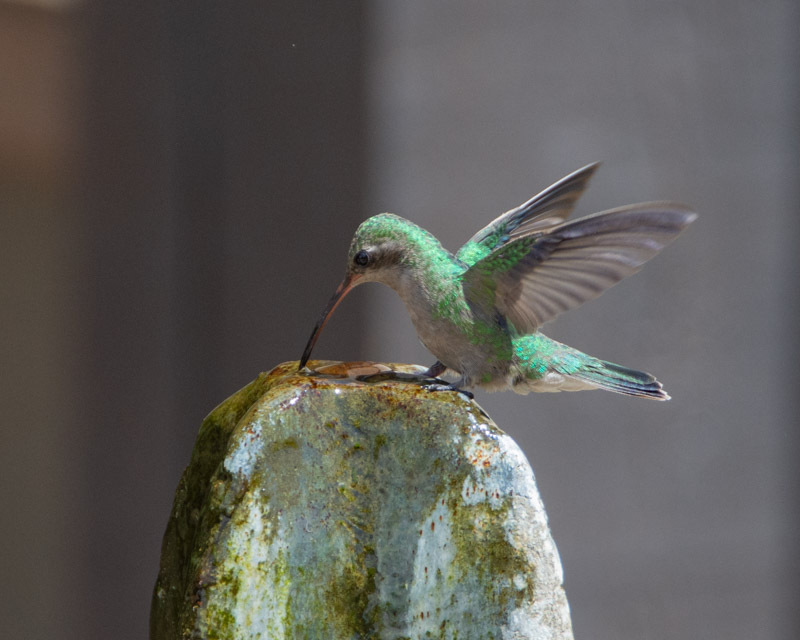 Here, a female Broadbilled Hummingbird hovered while sipping. And then she landed for a more relaxed drink. 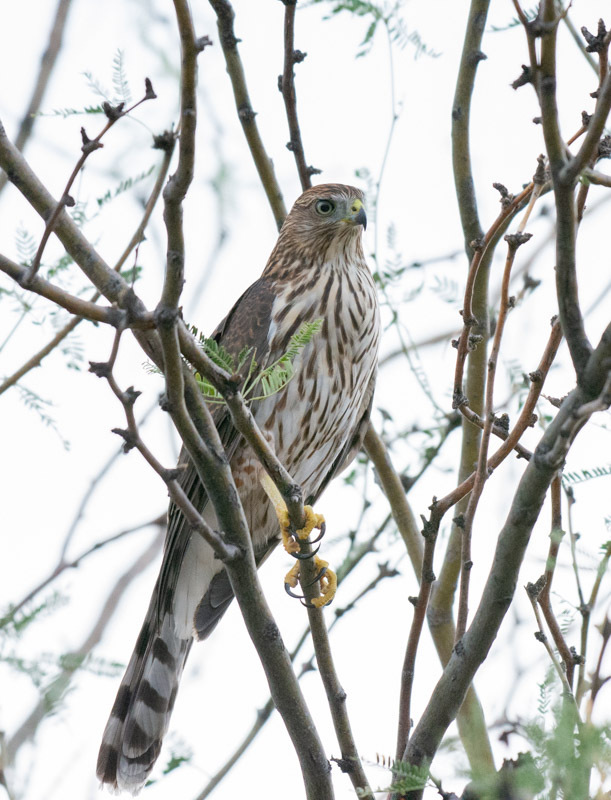 In my backyard, a juvenile Cooper’s Hawk perched near another. That upright pose is typical of this long-tailed raptor. I like this photo a lot for the bird’s alert look, the soft streaking on its breast, the talons wrapped around the thin branch, and the banded underside of its tail, rounded at the end. 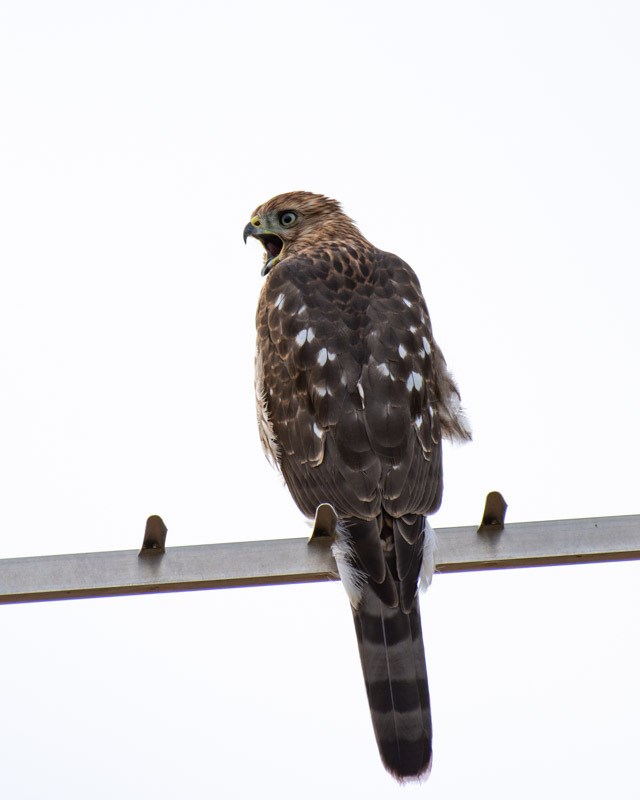 And a second juvenile Cooper’s Hawk was perched on a TV antenna nearby, squawking for something. 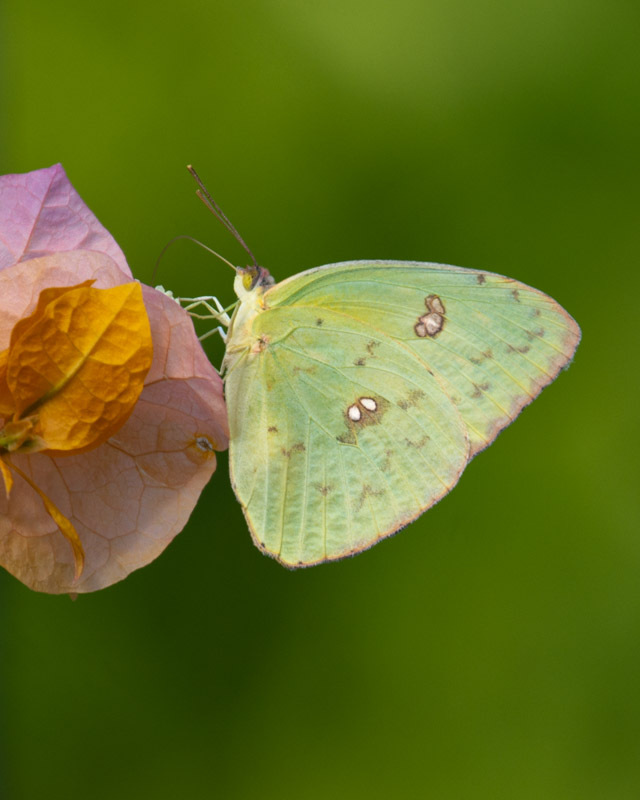 A female white-morph, Cloudless Sulphur Butterfly perched on a bougainvillea ‘flower’. This butterfly is large and very common in Arizona. What looks like a flower on the plant is actually leaves, while the true flower is very tiny and tucked inside the colorful leaves. 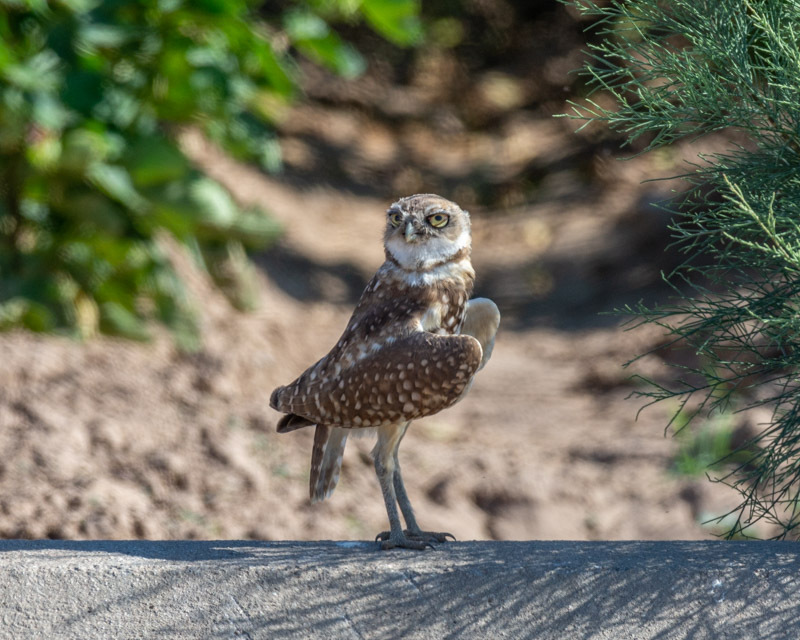 The final set is of a family of Burrowing Owls we found along agricultural areas northwest of Tucson. 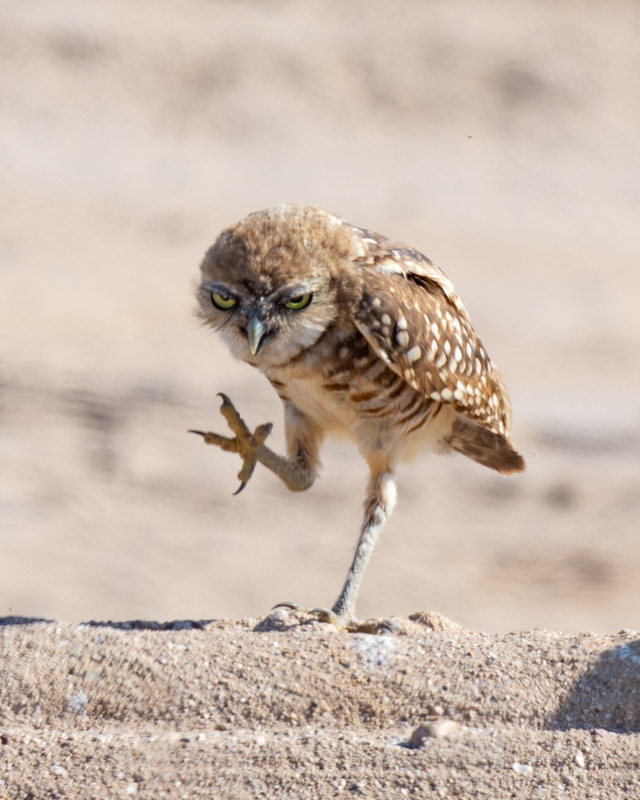 Burrowing Owls are favorites as they perch outdoors readily during the daytime and they have very expressive faces. It was very hot already by 9 am. This bird flew to the shadows of a nearby weed for respite from the heat. It spread its wings for heat dispersal and tried hard to cool down. A bit of its nictitating membrane is showing in each eye. 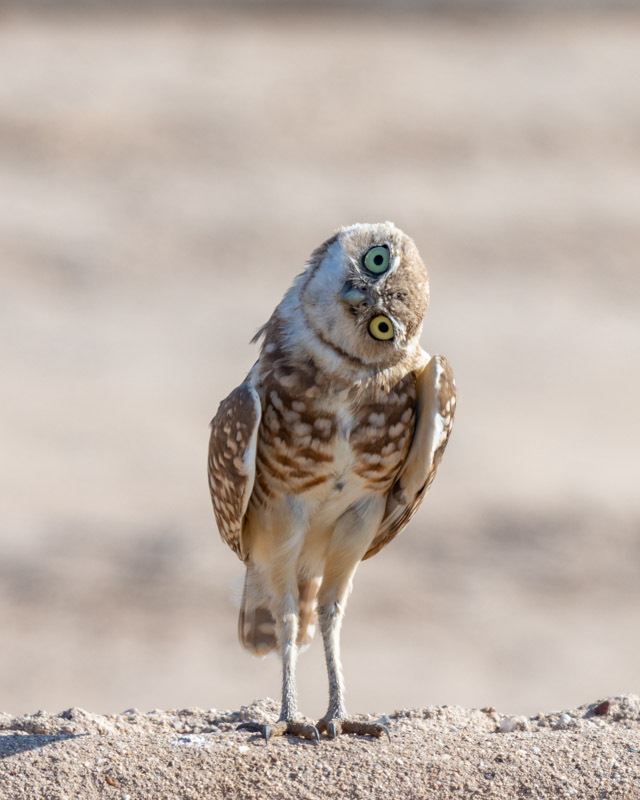 And this is an example of why Burrowing Owls are favorite of bird and wildlife photographers. Any questions? The bird was actually mid-scratch, but I can think of many different captions for this photo. Can you?